This girl is Karolin Tengblad, 18 years old, and lives in Jönköping, Sweden. 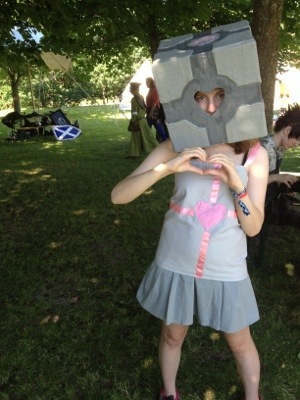 She has been to NärCon before and enjoy meeting new friends, the shops and the atmosfear. 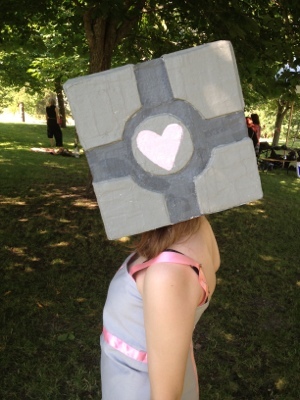 She is cosplaying a Companion Cube from a computer game she really likes!